I just finished reading it and of all the books I've read from her this is one of my favorites! Hello! 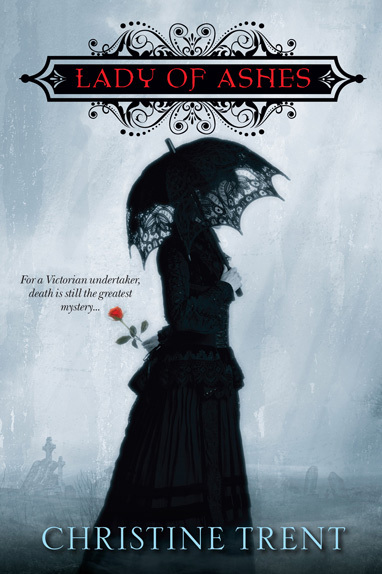 Iwould would to read LADY OF ASHES!It must be a fascinating story, because in 1861, women had to struggle to survive. If Christine Trent's character Violet is an undertaker, this historical must be interesting to read. I love stories of women of the past who made their way in life during those hard times. Thank you for this nice giveaway! I think I liked you previously on facebook, but on the rafflecopter I don't see anything on the entry where it says to like here. The cover caught my eye! I love it. It sounds like a really good book. I love reading historical fiction. An unusual profession for a woman at the time! and I live near a site from the War of 1812! A must read on my list!